Well known for our creativity and attention to detail as well as outstanding service, we love what we do and it's reflected in our work! 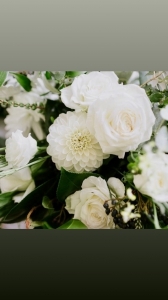 All of our design's are elegantly presented and include the best quality flowers available! We look forward to taking very good care of your order! 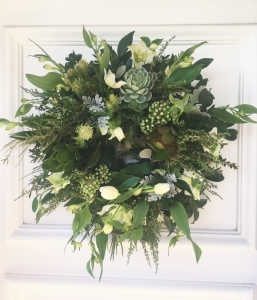 We are a studio florist based in beautiful Marlborough - having been established for over 10 years and building a reputation for elegant, stylish, fresh flowers and designs with a little flair and a lot of attention to detail, our passion for what we do shines through in all of our work! 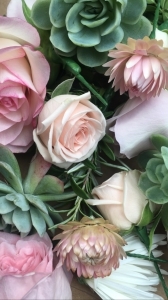 Nina Stanley (owner) has been in he industry for over 20 years and is a tutor and international floristry judge, traveling the world with her trade keeps her inspired and in touch with current trends! Flowers are for all occasions and we like to cater for all.... we realise that sometimes people just want to send a little gesture, a token gift! and at others they want to blow someone's socks off with a stunning dramatic design or a big elaborate bouquet - either way we will treasure your order and make sure it is presented beautifully! We use beautiful simplistic wraps, papers and fabrics with beautiful satin ribbons for our bouquets and glass or ceramic containers for our arrangements, always stylish - no matter the value! Please feel free to ask if you have any specific requests - we might be able to help you! 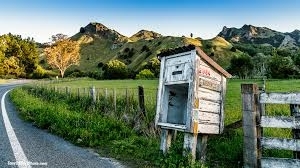 We deliver with-in Blenheim, Picton and Renwick. If the recipient isn't home we usually find a safe place to leave the flowers - depending on the weather and location etc (we will leave a note in the recipients letter box to say where we have left the flowers) if we are unable to leave the flowers we will also leave a note in the letter box asking the recipient to contact us when they get home to arrange another time for delivery! If possible please include a telephone number for the recipient! We deliver regularly to local hospitals and retirement homes, funeral directors and business's - so if you are unsure of the addresses for these places - don't worry we probably know, just make sure you provide a telephone number and your email address in case we have any trouble! Easy to order. Good communication. Flowers arrived on time and were beautiful. Thank you!! 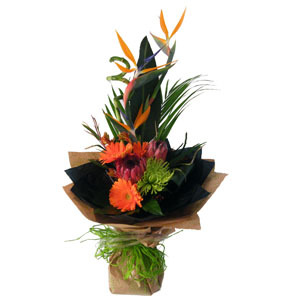 Amazing beautiful flowers & easy placing my order from Singapore. Would definitely recommend!!! Haven't seen them as different city. The flowers arrived on the day requested and the lady receiving them was overjoyed and commented on their beauty. 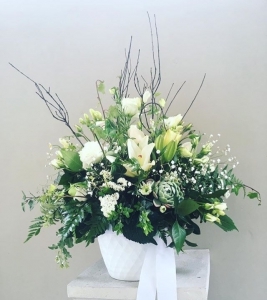 The recipient of the flowers supplied by Pink Poppie Designer Florist, Blenheim was so impressed that she said she will use them herself in the future. Good. Very well priced Orchid compared to what everyone else seems to be charging them out at. However when I realized the instruction early on said next day delivery and my earliest option was 4 days later I tried calling the phone number on the direct website to check and the number was disconnected so it was difficult to get clarity through the system with one thing telling me next day delivery but the check out screen giving me the earliest delivery option 4 days later. Just a bit misleading from the website and not being able to call the number provided on the direct website. The flowers delivered were very nice. They were delivered on the right day so I was happy. I have had flowers from Pink Poppies before so I knew I could rely on quality service. Flowers looked lovely and recipient was very happy. excellent service, and even called me when it was too late to deliver the same day! thankyou pink poppie! We ordered some flowers for a work colleague and they were absolutely beautiful. Delivery was quick and easy. Highly recommend! Florist was easy to contact through Facebook messenger to arrange Sunday delivery and Mum was stoked with the Mother&rsquo;s Day Flowers. Cheers! I have used this florist before and they have provided great flowers which my 90 yr old Mum appreciates!! 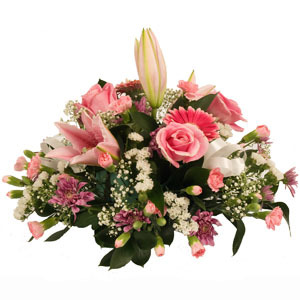 I always use Pink Poppie, the flowers are beautiful, service is excellent. Highly recommend. Was unable to select a date - the date that came up was in the past,so I had to trustcthe flirist to assume I wanted same day delivery. Great service, prompt delivery and lovely orchid plant, perfect for my mother-in-law's birthday. We ordered our floral arrangement from overseas for a surprise for Mum's birthday and it arrived on time. I had given the wrong address so the courier brought it back to the store. One of the ladies from Pink Poppie drove out to find the place and contacted me first as they didn't want to ruin the surprise for the recipient. Thank you. Bouquet was greatly appreciated by those who received it. More information on what you are buying would be largely appreciated - for the price you are paying it was hard to actually see what you were purchasing! Te item was delivered right on time, it was so beautiful and the message was written beautifully. Great service and correspondence through email. They were very flexible around Christmas and helped make the holiday that much more special! Easy to use and email received after delivery. A photo of the delivered flowers would have improved the experience. Very happy with the flowers. The florist Pink Poppy in Blenheim, went over and above to make them pretty and to get the order delivered right on time....thank you. Will definitely use them again. We are really delighted with the beautiful bouquet they made - thanks so much!! They were reliable and delivered a beautiful arrangement of flowers, just like the one I chose from the photo on the website. Although I havent seen the flowers, they were received with great pleasure. Nina did an amazing job, as always, and the flowers she personally delivered to my relative were stunning. My online order was for a single phalaenopsis orchid however due to weather conditions not allowing delivery of these to the Blenheim area this was not possible. Having placed my order I was rung promptly by the florist to say theses were unavailable due to weather condition & instead of this orchid she could do a nice bunch of fresh flowers. These were delivered and while I have not seen the bunch of flowers my friend said they were absolutely beautiful. Thanks to the florist for a job well done - will definitely use again. Beautiful flowers and quick delivery, definitely made her day in the hospital! Great communication and service. The flowers were gorgeous - a very happy lady! Beautiful flowers, delivered on the same day I ordered them. 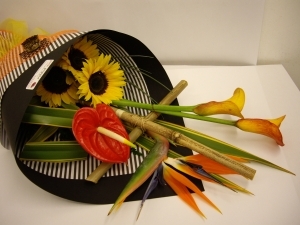 I contacted the florist by phone and was very happy with the service. The only thing was the arrangement I chose was meant to be all Gerberas, the arrangement that was delivered was a mix of gerberas and roses and a bit on the small side seeing I ordered the largest one. Apart from that I will be using them again. I was thrilled with the fast service and the beautiful flowers. Top marks to Pink Poppie Designer Florist. I would definitely chose to use them again. Beautiful flowers & super quick delivery. the operation was good until the point where there were messages to say there was something wrong but the transaction had all gone through ??? The flowers are always beautiful , fresh and great presentation modern . Use of beautiful flowers ... My sister absolutely loved them a big thank you. I have to say I was most impressed by the efficient manner in which my order was executed . To get them on time as the order was placed fairly late andd particularly as New Zealand is a day ahead of Canada. Thank you, I will have no hesitation in using your Company again...Jean Williams Salt Spring Island British Columbia Canada. Thanks for your prompt service. Our daughter was very pleased with the flowers. Very good service. Lovely arrangement. Beautiful flowers delivered promptly. My son and daughter-in-law backed up my great choice by telling me you guys did their wedding flowers - and they were also beautiful. Amazing bunch of flowers were loved by the recipient!!! Thanks!! 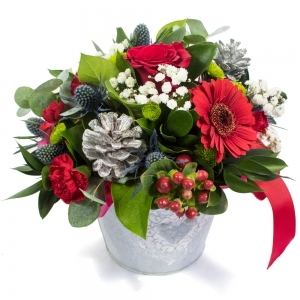 No notification about delivery, after order <br/>Have the flowers been delivered? The flowers are always gorgeous and never disappoint. My sick friend just loved them and it made her day. Thank you. Very good, able to deliver early. My parents were stoked, said they were the most beautiful flowers they had ever recieved! Nina &amp; Team designed my Mum a beautiful bunch of flowers to celebrate her retirement. I live abroad, Nina sent me an email to say the flowers arrived safely &amp; what was in the bunch, I thought that was a lovely touch. 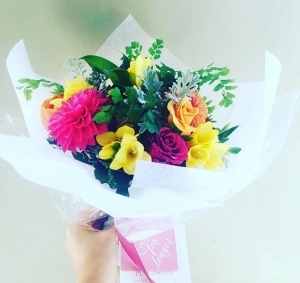 I would have no hesitation to recommend Pink Poppie Florist, and it is nice to know I have someone I can call on to cheer my Mum up when I am far away. Thank you team! Recipient was very pleased with the flower arrangement delivered and flowers very fresh! Fantastic. Gorgeous flowers as always! Beautiful bouquet of flowers - thank you. Attentive and considerate as always. 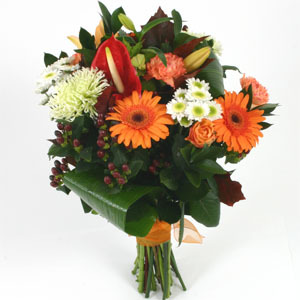 Very much appreciated them going the extra mile to contact recipient to arrange delivery time. 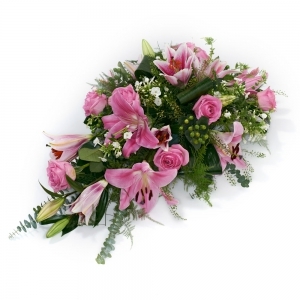 It was very easy to choose a bouquet from the website; the prices were reasonable; the ordering online quite simple. However, what really impressed me was the quick phone call from the florist when I left a question on the store answerphone. She was pleasant and helpful. The person I sent the bouquet to was very impressed by it so I was completely happy with Pink Poppie Florists. Excellent service - no hassles, great product. With little time to process my order the florist tried to telephone me and emailed me to check whether a later time was acceptable. The flowers were beautiful. I am very impressed. I heard the flowers were lovely...thanks so much for doing a great job. Beautiful flowers and the colours i had requested. thank you! I was told the flowers were beautiful, Very happy. My Mum got a complete surprise and loved the flowers she received. She said they were beautifully presented and a wonderful array of colours which is exactly what I wanted. 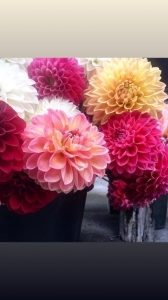 Excellent florist with beautiful flowers. can't really comment as I haven't seen the arrangement. Ordered the flowers outside of NZ. Very prompt service.Would use again. Wonderful....really made my best friends day. Great way to make someone feel better. Thanks again!!! Communication great and product beautiful. Thank you. Great service again, the only Florist in Blenheim as far as I'm concerned. Ordered at night in Aust - delivered the next day in NZ. "Flowers are beautiful and feeling better already" was my sister's comment. From the photo she sent through they certainly were lovely. I would highly recommend Pink Poppie for quality, value and service. My friend rang when the flowers arrived, she was delighted. My mother was delighted with the flowers and the cup cakes, Thankyou! She said both items were very well presented. I was very pleased with the service you provided from start to finish and your price was competitive. Superb service and absolutely brilliant flowers. A very happy customer who will definitely use you again ! The combination of flowers and cupcakes was a little different - and my parents said the cakes were delicious! Great service. Ordered at 10.30am and delivered at 1.30pm. Colour selection was excellent with a variety of flowers. Cheers. Flowers arrived to the correct place on the correct date and looked lovely. Good value! The florist was very helpful and my friend who was travelling was delighted with her flowers for her birthday. Expensive for someone on my budget, but recipient loved the flowers! My Mother was delighted with the bouquet and it was apparently true to the picture online, thank you. 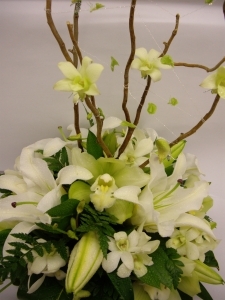 So elegant and fresh, a mix of season white flowers and lush green foliage. . . So many beautiful summer blooms available at the moment. . . .
Hand tied bouquet in feminine, pretty seasonal mixed flowers. . . 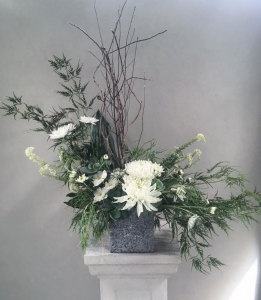 Perfect for the centre of a table - this gorgeous arrangement will not need a vase, beautiful seasonal blooms - choose this in greens and whites, pretty pastels or in bright bold colours.